Summary: In the idyllic early summer of 1914, life is good for the de Witt family. Rudolf and Verena are planning the wedding of their daughter, Emmeline, while their eldest son Arthur is studying in Paris and Tom is just back from his first term at Cambridge. 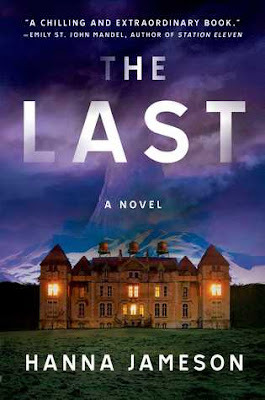 Celia, the youngest of the de Witt children, is on the brink of adulthood, and secretly dreams of escaping her carefully mapped out future and exploring the world. But the onslaught of war changes everything and soon the de Witts find themselves sidelined and in danger of losing everything they hold dear. 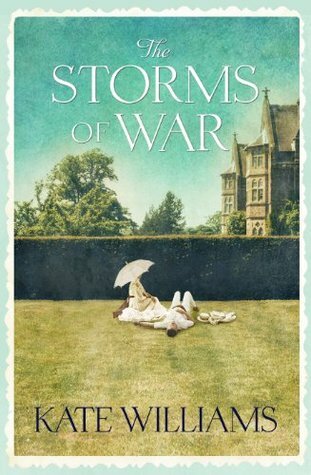 As Celia struggles to make sense of the changing world around her, she lies about her age to join the war effort and finds herself embroiled in a complex plot that puts her and those she loves in danger. I'm so glad I went out of my way to read this one (& by out of my way, I mean bought my copy on AmazonUK months before it was available in North America). I very much enjoyed the story of the de Witts and how they fared during WWI. Celia is the character followed most closely and as she is the youngest in the family, I had moments where watching the family from her perspective reminded me of Atonement (especially in her relationship with Emmeline). I felt great sorrow and true frustration watching Rudolf and Verena as the reality of their situation kept issuing blows but they were still in denial. To be fair, there wasn't anything that they could have done to mitigate their circumstances and there are far worse things than relying on the world being a rational place & your beloved country treating you fairly as a citizen. These things sadly, have failed people, over & over throughout history. Still, it was painful to read. For Rudolf to find that his chosen country considered him a traitor & inter him for the duration must have been heartbreaking. For Verena to have had to register as an alien because of who she married & have what everyone said was sacrosanct, her birth & English lineage, discounted turns the whole sense & justice of the "system" on its head. I of course felt for Michael, Emmeline & Celia in finding out that they weren't English enough & that what mattered was their paternity which happened to be German. But through it all, I liked how each found ways to participate in making the world a better place. I found Emmeline's choices to be most interesting even though her way infuriated me at times. Michael's time in combat was bittersweet and ended on such a tragic note. Celia's various jobs during the war were interesting even if I didn't quite believe she'd have done all that & even had an offer to be a spy. She was consistently naive and no matter her language skills, that would surely not serve her well in an undercover situation. I don't know what to make of Arthur who was mentioned throughout & only showed up at the very end of everything, the war & the book. And then there's Tom. The servant, friend & possible very close relative to the De Witts in general & problematically to Celia in particular. I can only assume that the next book will delve & clear up that little mystery because Tom & Celia don't have the story right & Mrs. Cotton, for some reason hasn't told her son the truth (that I'm assuming was related in the story by Verena's memories). I also hope the next book explores the fate of Hilde & Johann. Having heard about them, I really want to know how they've fared through the war & what it will all mean now for them as they are in Germany. I'm definitely going to read the second book in the series & have already preordered on AmazonUK (out November 2015, entitled The Edge of the Fall). Highly recommended for historical fiction fans & those interested in fiction of the time in particular.